The game offers three competitive multiplayer modes. Gamers must protect their own base while demolishing the enemy base in Incursion. Devastation features a tug-of-war element that makes players fight to hold landmarks. In Meltdown, players must protect minions and earn points when minions destroy themselves in an incinerator. 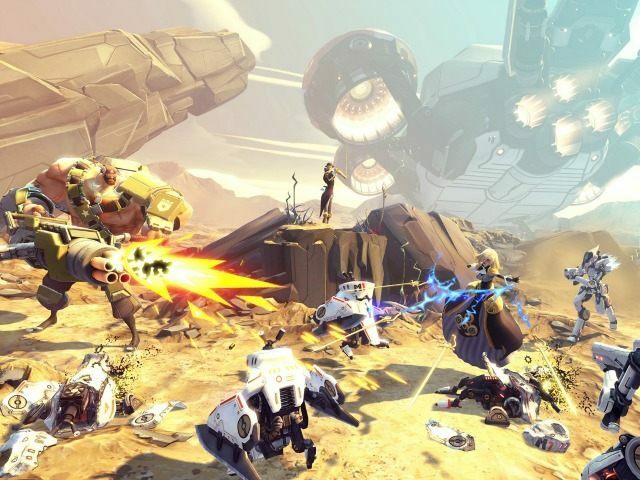 Battleborn also has a “Persistent Progression System,” in which experience points boost a player’s Character Rank and Command Rank. While the former rank lets players switch boosts and get new skins, increasing the latter rank grants gamers badges, titles, and loot.